Introducing three new and very unique cremation urns just added to our collection. These wood urns are hand made in the USA from real solid hardwoods. 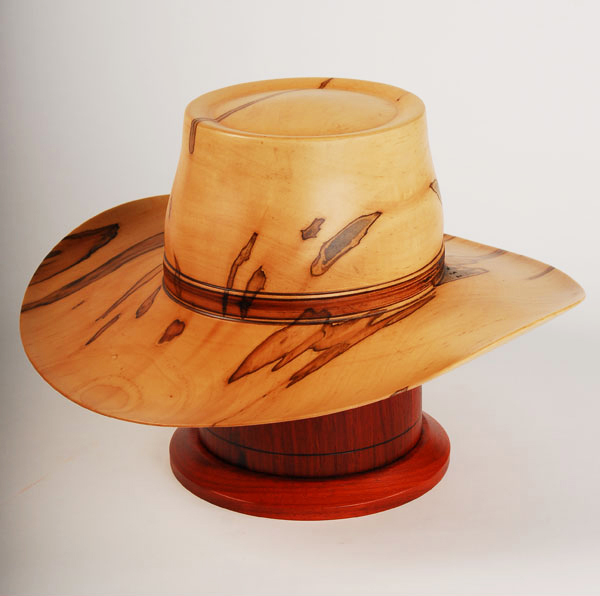 The base, which holds the remains, is made from exotic Paduak wood, while the hat sits on top and is hand-turned Maple wood. Perfectly suited for the authentic cowboy. 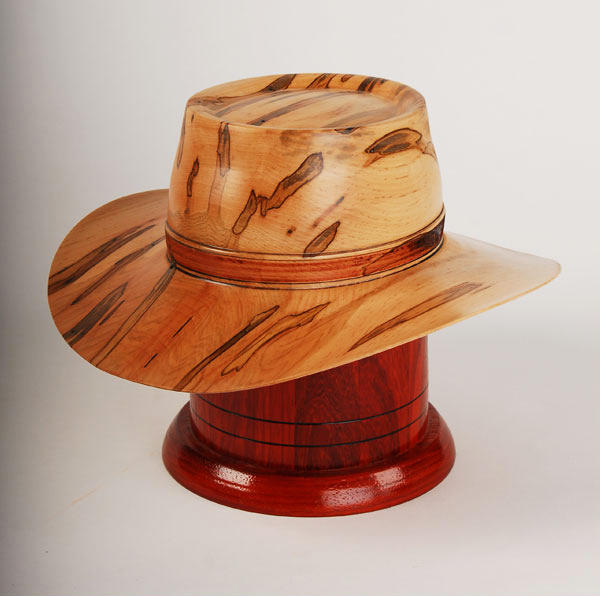 This Cowboy Hat Cremation Urn is one of a kind, made to order and accented with the unique features and woodgrains of the individual piece of Maple wood used to craft this work of art. This will look gorgeous on a broad fireplace mantle in a ranch house to remember your beloved cowboy. English class presented with midwestern style. The Derby Hat Cremation Urn effuses elegance and charm, just like the one whose memory it honors. Hand crafted to perfection for a true debonair. As adventurous as it is unique, the Australian Outback Hat Cremation Urn captures in this work of craftmanship and art the sensibilities of a gritty outdoorsman. This urn conveys earthiness and class, grit and charm, unpredictability and steady character. These hat cremation urns are hand-crafted to order, so please allow up to four weeks for production. See product details for more information. Questions? Call us, toll-free, at 877-900-5309.